Romanian painter, photographer and sculptor Constantin Brâncuși was born on February 19, 1876, but practiced his craft in France. He was the father of modern sculpture, many would consider. He enjoyed carving farm tools in wood as a child, which led to taking formal lessons in art in Bucharest and Munich until he was admitted to the École des Beaux-Arts in France. His works, mostly representational art, exhibited clean geometrical lines balancing forms in the materials he used. There were many sources of inspiration for Brâncuși, from Dionysian and Byzantine traditions to non-European cultures, emulating Paul Gauguin and Pablo Picasso among others. Brâncuși’s childhood was spent near the Carpathian Mountains, which was an area noted for its rich folk art tradition, especially woodcarving. The artist’s parents were peasants and Constantin used to herd sheep. He already displayed a talent for woodcarving at a young age. When he was nine, he went to the closest large town to work. At age 19, Constantin carved a violin by hand using discarded materials. His talent impressed an industrialist who sent him to the Craiova School of Arts and Crafts (școala de arte și meserii). 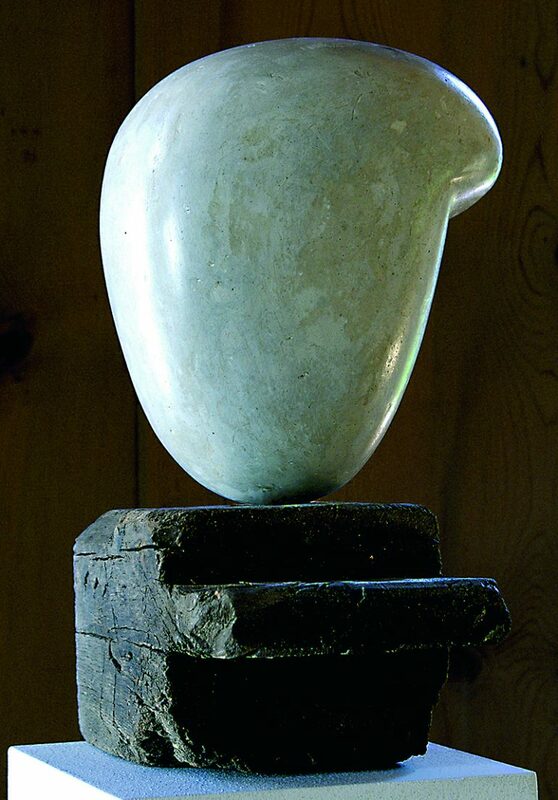 Brâncuși did very well in school and graduated with honors. He was trained in sculpture when he entered the Bucharest School of Fine Arts. He was a diligent student and one of his earliest notable works was an écorché (statue of a man with skin removed to reveal the underlying muscles), which he created under the guidance of Dimitrie Gerota, his anatomy teacher. Brâncuși went to Munich then to Paris where the community of intellectuals and artists with new ideas welcomed him with open arms. He first worked at Antonin Mercié’s workshop, before Auguste Rodin invited him to his own workshop. However, he only worked there for two months because he felt he will not be able to grow under the shadow of a great artist. It depicted a non-literal representation of a kneeling young woman making the sign of the cross. Brâncuși concentrated on carving while his contemporaries were working on plaster or clay models that were later cast in metal. He continued working on his own style, making several version of ”The Kiss” and “Sleeping Muse,” and further simplifying his forms into sparse and geometrical objects. In 1920, he started considering the bases for his sculptures as part of the works, thus he crafted them with originality and care. Notable among his major works was the “Bird in Space” – a collection of abstract shapes symbolizing birds in flight, based on his Măiastra series that was created earlier. That series was inspired by the Măiastra from a Romanian folklore. It was supposed to be a golden bird that can cure the blind and predict the future. For the next 20 years, Constantin Brâncuși created several versions “Bird in Space” using other materials like bronze or marble. It seemed that he made about 36 versions of it. 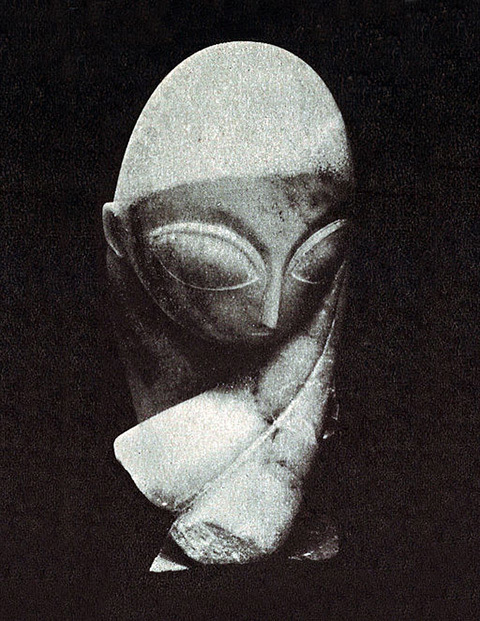 These sculpture pieces became the highlight of Brâncuși’s career as an artist. From then on, the number of his works diminished. He only managed to produce 15 sculptures in 19 years. He was still popular but he withdrew from the world, preferring to care for the columns, heads and fish birds that he created and placed outside his studio. Late in his life, a Romanian refugee couple cared for him. In 1952 he opted to become a French citizen so that his caregivers could become his heirs. He also left his studio and its entire content to the Parisian Musée National d’Art Moderne.